Got some igneous rock in your kitchen? Give your granite counter top a little spruce with this good looking bottle. A whiff of it and you'll be walking through orchards in no time. Think apple blossoms, peach nectar and vanilla orchid. 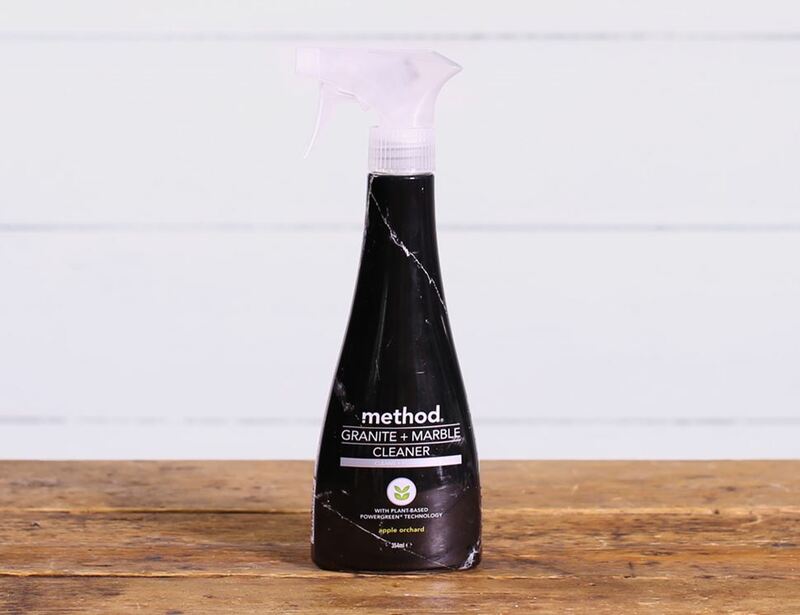 Method are super green, happy cleaners. They love making our homes and planet a cleaner place. From responsible ingredient sourcing and cutting edge eco chemistry to recycled and recyclable packaging, Method make products that work. For your little planet at home and the bigger one too. Aqua, alcohol denat., capryleth-4, parfum, limonene, benzisothiazolinone, linalool, benzyl benzoate, sodium citrate label: <5%:non ionic surfactant, perfume (limonene, linalool, benzyl benzoate), also contains: water, alcohol, sodium citrate.